AlgaGen Coral Smoothie - Feed The Frenzy 8 oz. Coral Smoothie FEED THE FRENZY! 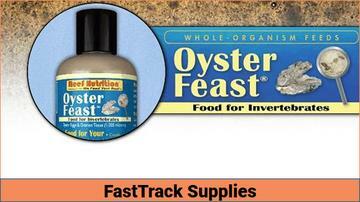 FAST, CONVENIENT, UNCOMPLICATED FEEDING 9 species of microalgae Artemia nauplii Copepods Rotifers Clam larvae Oyster larvae Oyster eggs and tissue Hydrolyzed vegetable protein Fish Eggs Decapsulated artemia cysts Copepod eggs Mussel & Squid Coral Smoothie Coral SmoothieTM is a first of its kind for natural and convenient marine aquarium feeding. 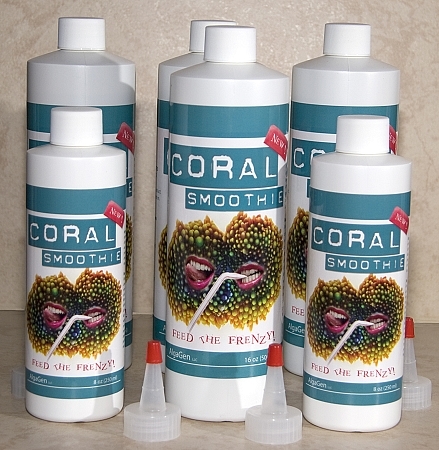 Coral SmoothieTM has been designed to provide the variety of food items found on tropical coral reefs. 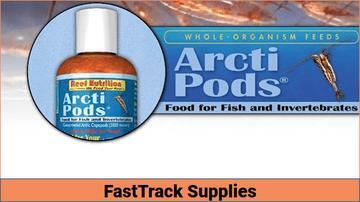 Coral SmoothieTM is formulated with everything from vegetable protein to whole zooplankton and eggs . Coral SmoothieTM has been proven to stimulate marine tanks drawing responses from invertebrates such as snails and shrimp to corals and fish. 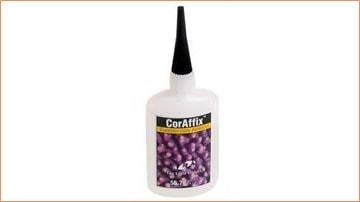 Coral SmoothieTM particle sizes range from 2 to 5,000 microns. Coral SmoothieTM contains: Available in 8oz and 16oz sizes with applicator cap. Coral Smoothietm comes with an applicator tip that, once cut, will enable the user to spot feed simply by inserting the bottle into the tank; then point and feed. 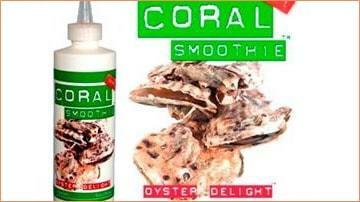 Coral Smoothie has a 6 month shelf life and does not need to be kept refrigerated until it is used. However after opening it should be refrigerated. It is not a live product. Feed the Frenzy.